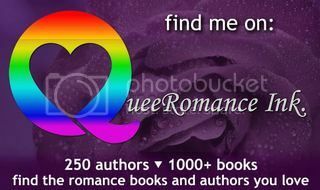 I’m hosting Addison Albright on my LJ today as part of her 3 day release blitz with Embrace The Rainbow Book Promotions for Snapshots from JMS Books. There’s also a rafflecopter giveaway. I’m hosting RJ Jones today on my LJ as part of her blog tour for As The Sun Sets. There’s also a rafflecopter giveaway. I’m hosting Asta Idonea today on my LJ as part of her blog tour for Wish You Were Here from Dreamspinner Press. There’s also a rafflecopter giveaway. I’m hosting J.R. Loveless on my LJ today as part of her blog tour for Champagne Kisses. I’m over at Love Bytes Reviews for the first of my monthly blog posts. Drop by and say hi. I’d love to hear from you.